Phillip Hammond delivered his annual budget review on Monday 29th October. Probably the most notable point to come from October’s Budget was the claim that we are coming to the end of austerity. Welcome news indeed! Hammond praised the Great British public throughout his speech on their hard work for helping reach the end of austerity. He went on to comment on how he wanted to reward the British public for their hard work by putting cold hard cash in their pockets, as he put it. We’ve had time to absorb what was said, read the inevitable slew of comments which always follow the Budget and pick out the points which we think are noteworthy. ‘We want people to keep more of the money they earn’ – a nice sentiment from Hammond. We would like that too! But is his budget delivering? The personal tax allowance is the amount a person earns before they have to start paying income tax. It was part of the Conservative manifesto to raise the personal allowance from £6,475 to £12,500 and Higher Rate Threshold (where the 40% tax rate kicks in) from £43,875 to £50,000 by 2020. After which they will raise with inflation. In April this year the chancellor made a start and upped the personal allowance to £11,850 and the Higher Rate Threshold was increased to £46,350. In spite of the additional £20bn that has been promised to the NHS since the Brexit referendum, Hammond is still determined to stand by the manifesto to increase the allowances by April 2020. He commented that his ‘idea of ending austerity does not involve increasing people’s tax bills’. Which is comforting to know. But the good news does not end there. Thanks to the ‘careful management of the economy’ Hammond will reach these allowance levels a year earlier. As of April 2019, 32 million people will be benefiting from these new rates. The average tax payer will be paying £1,205 less tax in 2019-20 than they did in 2010-11. There will also be 1 million fewer high rate tax payers than there were in 2015-16. There was also a change to the National Insurance (NI), although you would be forgiven for missing it. Hammond did not mention it in his speech and it has not been mentioned on the Red Book scorecard. You had to be reading the small print to spot it prompting some to accuse the chancellor of imposing a stealth tax. The threshold rate at which NI payments is reduced from 12% to 2% has risen to £50,000 – in line with the increase to the higher rate threshold for income tax. This NI tax change could wipe out half of the good work done by the cuts to income tax for Middle-England. 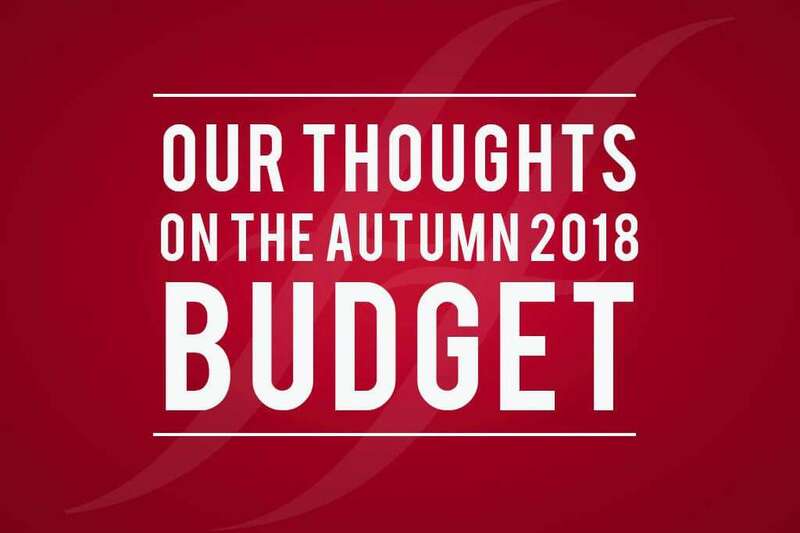 Those higher rate tax payers were set to gain £291 a year with the cuts to income tax but due to the increase in NI, their savings have been reduced to £156. Despite some calling this change a steal tax, others have argued that it is completely normal practice. Traditionally the 2% NI threshold is linked to the higher rate income tax threshold. So it makes sense that if one were to rise, then so should the other. Capital Gains Tax (CGT) comes into force on any money gained from selling on assets outside of their annual exempt amount (AEA). Thanks to the Private Residence Relief (PRR) CGT is not payable on any gains made from selling your main residence. In the 2019/20 tax year the AEA is set to increase to £12,000 for individuals and £6,000 for trustees. Lettings relief: currently if you are letting out a property that used to be your main residence, you are provided with a £40,000 relief. But as of April 2020 this is going to change. Individuals will only be eligible for the lettings relief if they are in shared-occupancy with their tenant. Final period exemption: at the moment people do not have to pay CGT on gains made in the final 18 months of ownership. The long exemption period means that individuals are able to gain relief on both their unsold property and their new home. From April 2020 this will all change. The exemption will be reduced to 9 months. The Pension Dashboard was launched in 2016. Currently in its prototype phase, it’s going to be a place where anyone can log on and see all of their pension pots in once place. It is said that there are £100s of millions in lost pension pots. People may not realise just how many pension pots they have. Or have simply forgotten. The Chancellor announced an extra £5m financial commitment to the Department of Work & Pensions (DWP) for the development of the dashboard. It was also confirmed that the State pension would be included in the pensions visible on the dashboard. Something that wasn’t previously known. Increase the inclination to take a proactive role in managing retirement. Those behind the Pension Dashboard prototype project are hoping that full service will be in place by 2019. We are looking forward to seeing the dashboard when it comes to fruition. The Autumn budget also brought about the publishing of the final report for the Cryptoassets Taskforce, a taskforce that was announced in March 2018 as part of the government’s FinTech Sector Strategy. It consists of HM Treasury, the Financial Conduct Authority and the Bank of England. allow those innovators in the financial sector that play by the rules to thrive. In the coming year fuel duty is to remain frozen for a ninth consecutive year. This will lead the average driver’s total savings to £1,000 and the saving for an average van driver to £2,500. For those of us who rely on cars for our daily commute, it is positive news.